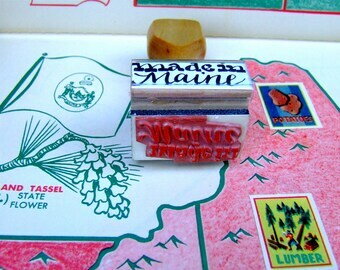 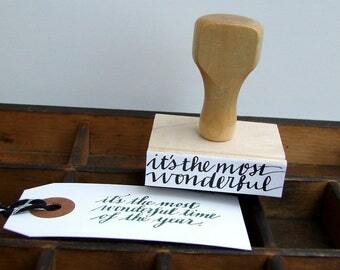 A merry, little message stamp to decorate your gift tags, gift wrap, Christmas cards and more. 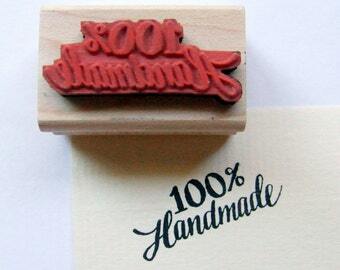 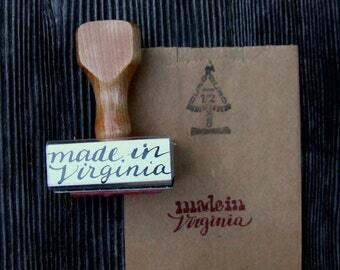 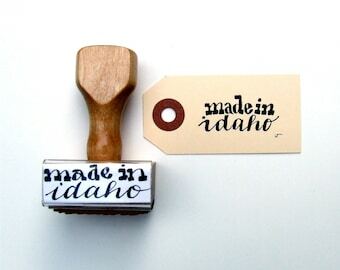 + A high quality, red rubber stamp design die laser engraved from my hand lettered calligraphy. 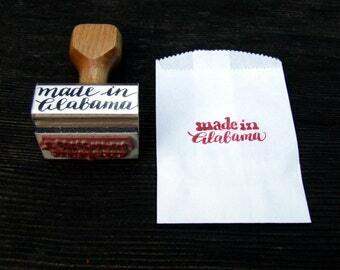 + Use with a separate ink pad. 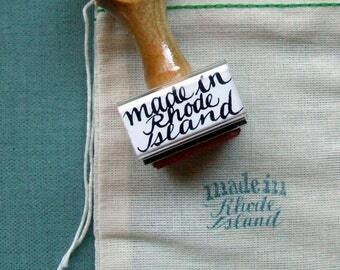 + Packaged in a hand stamped, unbleached cotton muslin tie string bag, perfect for gift giving. 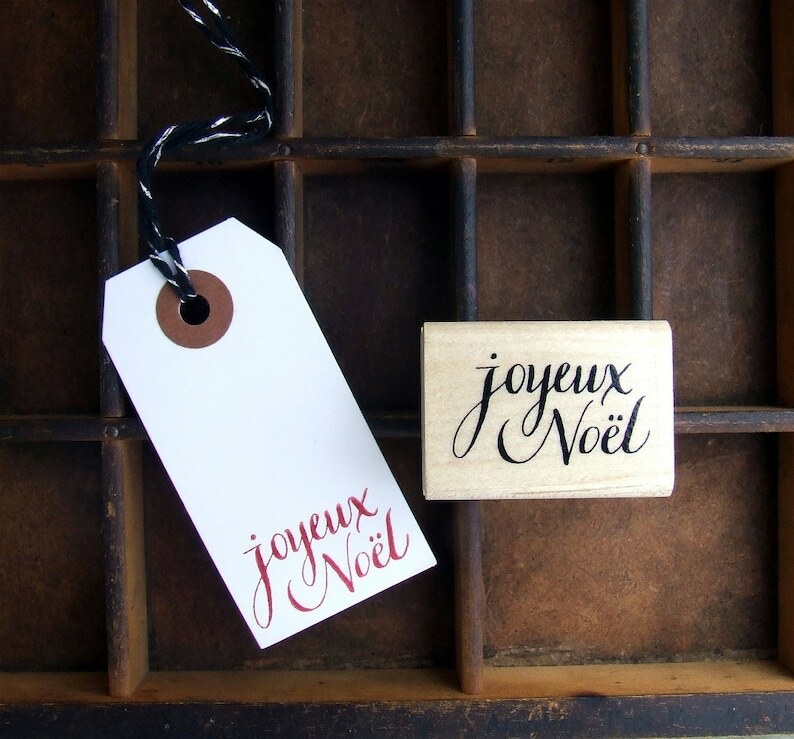 Beautifully made, packaged, and it shipped on time. 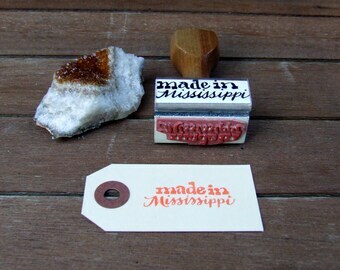 Shipment arrived early, beautifully packaged, the product is even nicer in person. 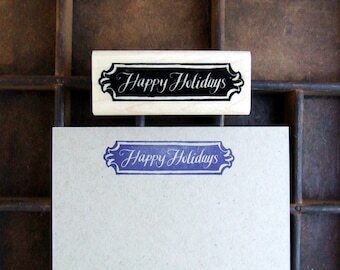 Had so much fun stamping all my holiday tags this year!